IJV has joined the campaign No Way to Treat A Child – Canada which seeks to end the terrible plight of Palestinian children under military law in the Occupied Territories. Members of IJV across the country are asked to visit their M.P.s and organize public events to bring attention to violations of fundamental justice and international law as they affect children between the ages of 12 and 17 years under Israel’s prolonged military occupation. 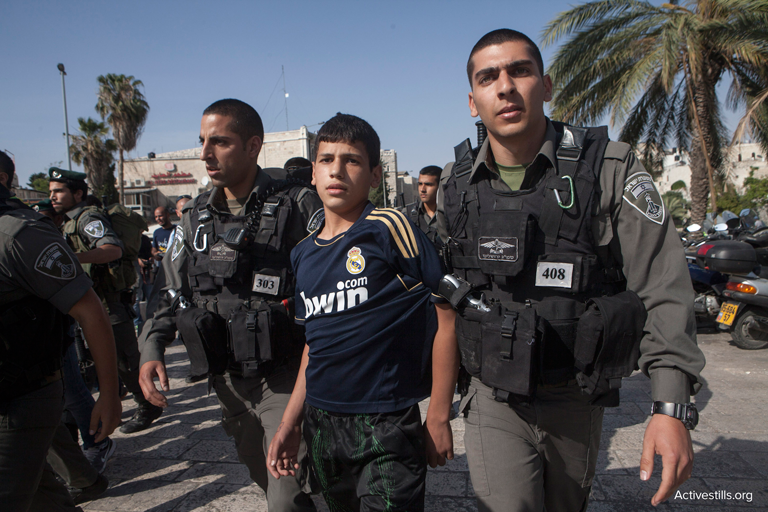 Israel is the only country in the world which detains between 500 to 700 children each year under military law. The children are routinely interrogated without access to their parents or advice from legal counsel. Arrests are often made at night, with the Israeli military waking a sleeping family at gunpoint. Most children report being subjected to physical and psychological violence. Abed, age 14, was awakened to find himself surrounded by armed soldiers. Above the protests of his father, he was placed on the floor of a jeep, at the feet of Israeli soldiers, who kicked and beat him until they arrived at the detention centre. At the centre, he was chained to a wall with his feet barely touching the floor, interrogated repeatedly although he continuously denied the charge of throwing stones. He is one of four youth featured in the film, “Detaining Dreams”, made by the legal aid and advocacy group Defense for Children International – Palestine, which is available for public viewing. The situation of these children brings focus to what it means for Palestinians to live under military law in the West Bank among Israeli settler communities. Israeli settler children and youth are subject to the civil law of Israel. Palestinian children face military law, created at will by a military commander, not a parliament or elected body. This makes for extremely harsh and disproportionate sentences – 10 year maximum sentence for throwing a stone at the annexation/separation wall, 20 years maximum for throwing a stone at a moving object. In a violation of international law, children found guilty are transported across international lines and imprisoned in Israel. Help end these most egregious aspects of military occupation and demand immediate protections for Palestinian children.